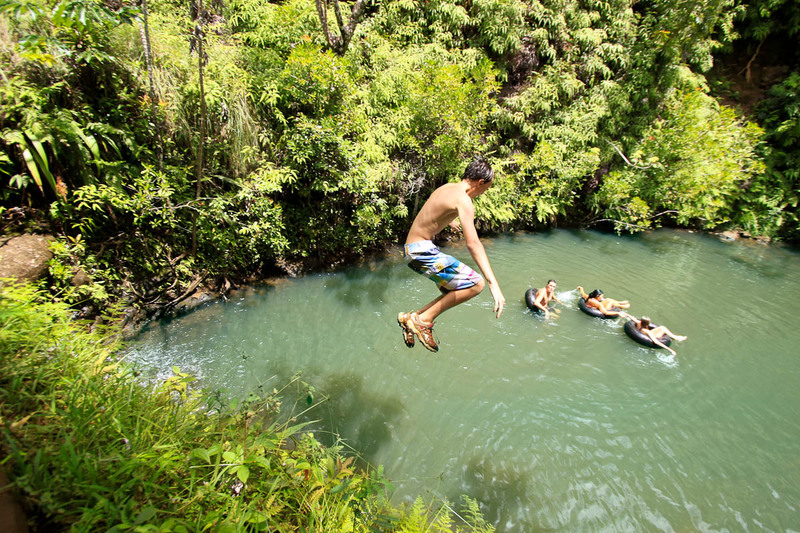 Princeville Ranch Adventures offers the Zip N Dip on 2,500 acres of private land on the North Shore of Kauai. 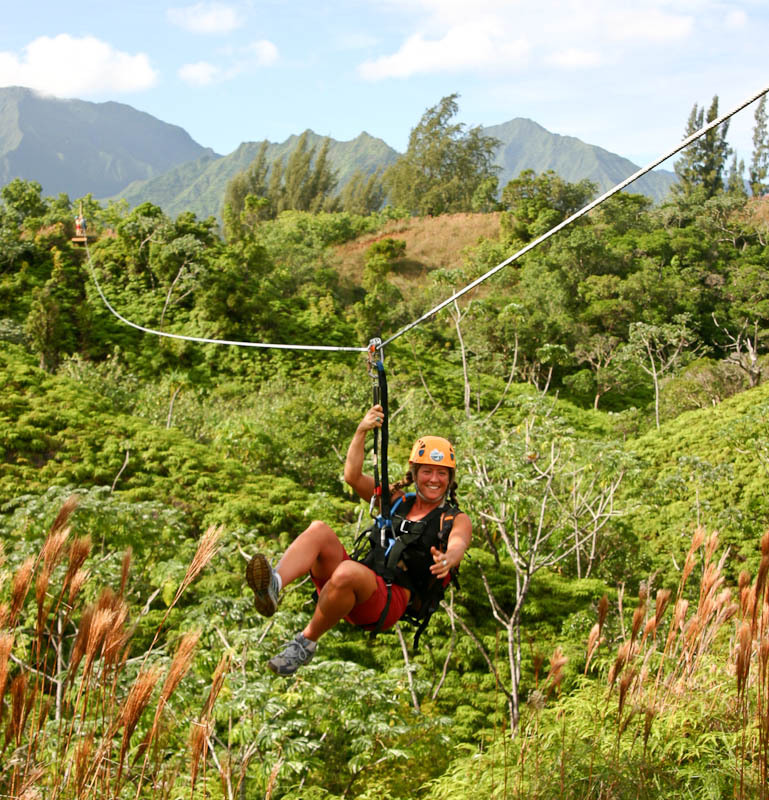 Enjoy expansive views and go deep into the tropical rain forest interior of Kauai on this Kauai Zipline Tour. This Hawaii Zipline offers both Swim and picnic in waterfall settings unlike the Zip Express which is strictly Ziplining. Enjoy the privacy, and culture of Princeville Ranch which is a working cattle ranch dating back all the way 1831. Zip and Dip is a one-of-a-kind experiences! Check in half hour prior tour at Princeville Ranch Hiking Adventures Office one mile past the Princeville Airport on the ocean side of Kuhio Hwy 56 (just past the 27 mile marker) follow the signs. There is maximum of 12 guests per Zip N Dip tour. 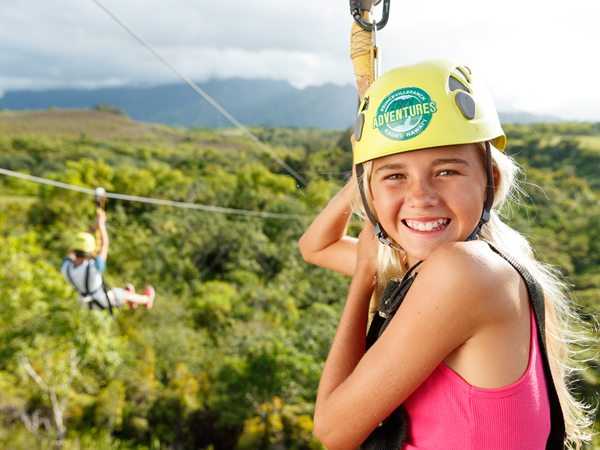 This Hawaii Zipline includes experienced guides, lunch, and backpack use, and of course, a full 9-zip line course. All of the Hawaii Zipline Guides are CPR and First Aid Certified. All tours are save and ACCT approved. Check out other Zipline Tours Kauai Adventures. The Menu for the Zip N Dip includes a Choice of Turkey or Veggie Sandwich, Apples, Oranges and locally made Kauai Cookies. 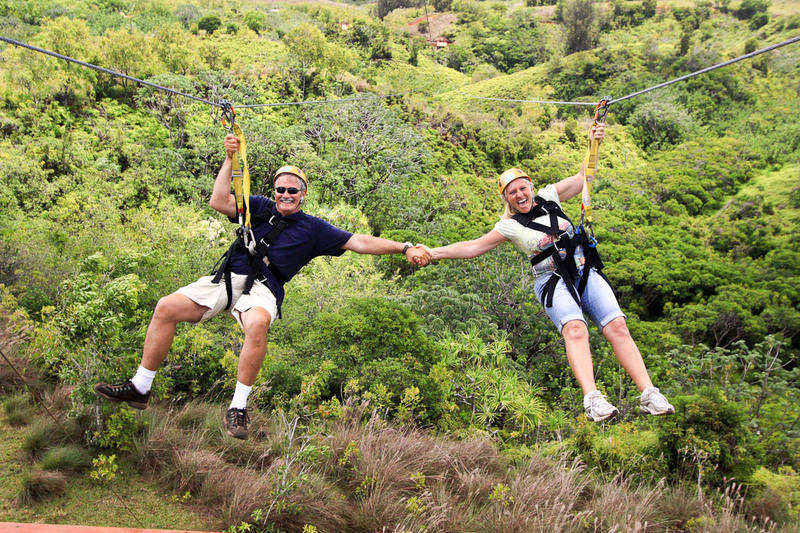 One this Kauai Zipline Tour, please Wear Shorts (mid thigh or longer) and swimsuit, bring a towel, hiking or tennies, and a change of dry clothes for after the tour. Bring bottled water, sunscreen, hat, hair ties, mosquito repellent and a rain poncho. No children under 10. All participants must be in good physical condition. 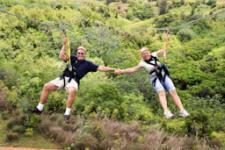 Weight: 75-280 lbs and no pregnant women on this Kauai Zipline tour offered by Princeville Ranch Adventures. AGE/PHYSICAL CONDITION: Must be at least 10 years old and weigh between 75–280 lbs. ; good physical condition with NO recent injury or surgery to feet, ankles, knees, hips or back. No Expectant Mothers.